Kitchen appliances have progressed a lot over the past 20 years. Not only has their technology advanced, but their looks have changed, too — and they’re moving forward all the time. Whether you’re in the market for new appliances or you like to keep up to date on styles, take a look at these five appliance trends for 2018. White is back in style for 2018 kitchens. It’s not the same white you may be familiar with, however; it’s a glossier version, and it’s much easier to keep smudge-free than traditional stainless steel. The reflective finish will look especially appealing in kitchens with a lot of natural light. Appliance manufacturers are taking cues from smartphone designers, adding touch-and-swipe controls to their new models. These not only look sleek, but they also offer users convenience and ease of use. Their flat surfaces are easier to clean than traditional models as they lack the nooks and crannies of knobs and switches. Old-school appliance styles, shapes, and sizes have found their way back into kitchens. Vintage ovens are built to last, and since they don’t have as many parts and additions as newer models, there are fewer parts that may need to be repaired. 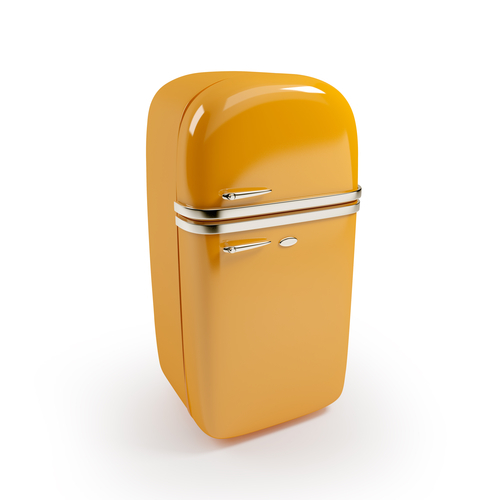 Smaller-sized retro refrigerators are perfect for smaller kitchens, such as the ones in restored homes. If you like using your tablet, iPad, or smartphone as a cookbook, you’ll love Bluetooth-synced appliances. They allow you to check temperatures and timers from other locations, so you’re not stuck in the kitchen — or even in the house. Matte gray appliances are hot in 2018, sometimes being called slate or a brushed-metal finish. Some are fingerprint resistant and hide smudges and dirt, making them ideal for homes with young children. If you’re thinking about purchasing new appliances, check out Salvage Warehouse. For more than 40 years, this family-owned business has offered appliances, furniture, and mattress sets to customers in Lincoln and Grand Island, NE. Delivery service is available, and installation is included at no extra charge. Give Salvage Warehouse a call at (402) 466-­8294, or visit their website to see a list of all the products they offer.